Escheat laws by state can be difficult to keep track of, as no two states interpret unclaimed property in the same way. State escheatment laws can differ based on a variety of factors, including property type, dormancy period, and compliance requirements, among other factors. The compliance experts at Keane can help to keep you up to date the various escheat laws by state by providing real-time alerts when significant changes are made to unclaimed property regulations and state escheatment laws. Subscribers to Keane’s Unclaimed Property Compliance Portal will also receive access to view additional details on the legislative change, including a summary of the legislation and an analysis of its impact.  Additionally, subscribers also receive access to KeaNotes – our premier unclaimed property newsletter. Published since 2003 – KeaNotes keeps financial professionals up to date on unclaimed property news, laws, and trends; also includes editorial coverage of ongoing legislation changes, legislative summaries of escheat rules by state, guest columnists from state and industry professionals, Q&A sessions, continuous interpretation and recommendations to effectively comply with unclaimed property laws while increasing your company’s bottom line. Click on the button below to register for free legislative alerts. You’ll receive a notification when new issues of KeaNotes are published and real-time alerts for changes in escheat laws by state. For information on subscribing to Keane’s Unclaimed Property Compliance Portal, please visit www.keanecompliance.com.